KULIM is forming Ascending Triangle Pattern. 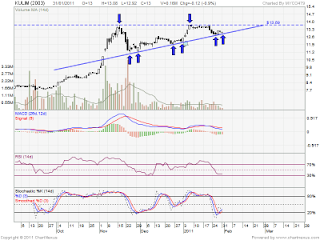 It current resistant is around RM13.70 & strong support level should be bottom line of the triangle. 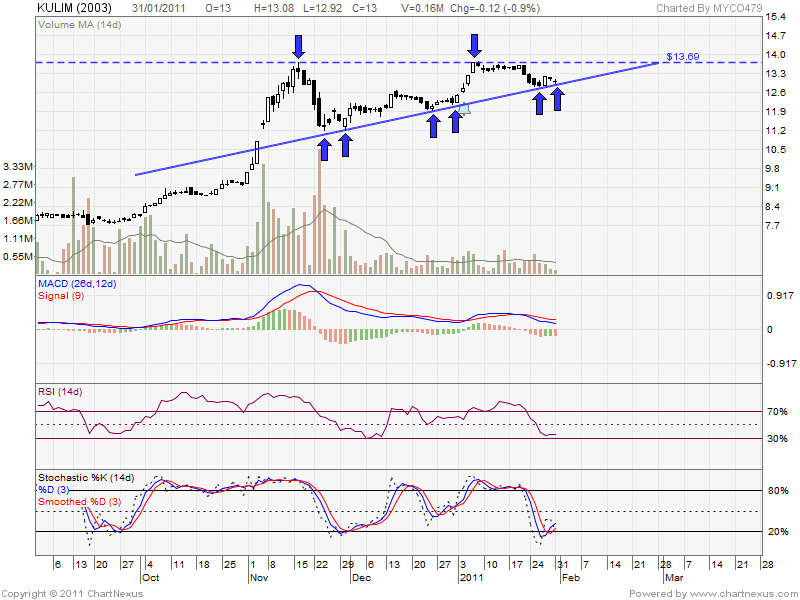 This round it should re-test RM13.70 again & retrace down to triangle bottom line before break up RM13.70 level. Most analysts will take a position once the price breaks through the top line of the triangle with increased volume. However, if break down the bottom line of the triangle, it might be high risk. May consider cut loss & protect capital.